On Monday, January 19, 2015, MAS Context and five LA-based contributors will provide a behind-the-scenes look at the publication and discuss the work they contributed. The event will be hosted at Bruce Mau Design Los Angeles. Moderated by Iker Gil (Editor-in-chief, MAS Context) and Andrew Clark (Director, BMD Los Angeles). 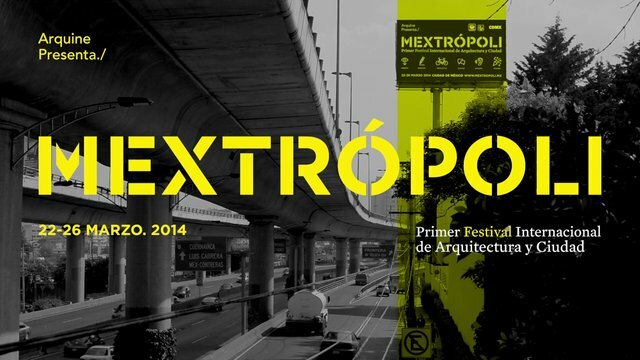 Mextropoli, the First International Festival on Architecture and the City, organized by Arquine and directed by Andrea Griborio, takes place in Mexico City March 22-26, 2014. 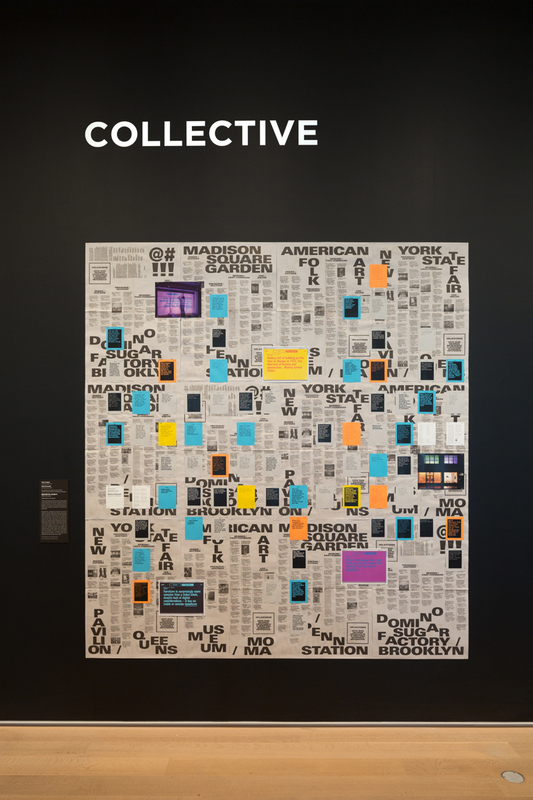 Chalk it up to the rise of social media in the late 2000s or to the collective actions instigated by the Occupy Movement, but social practice has emerged (or rather, re-emerged) in recent years as a dominant mode of production across multiple disciplines. 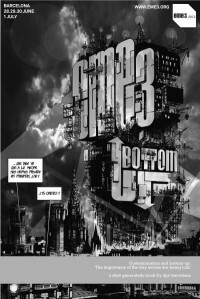 Social Club explores the role of “social practice” in art, architecture, and urbanism. 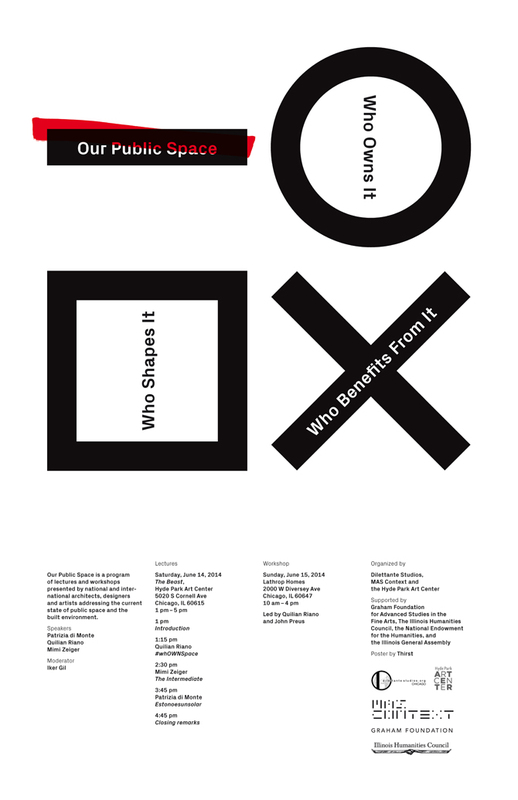 It features speakers whose work relies on a dialogue with the public sphere. 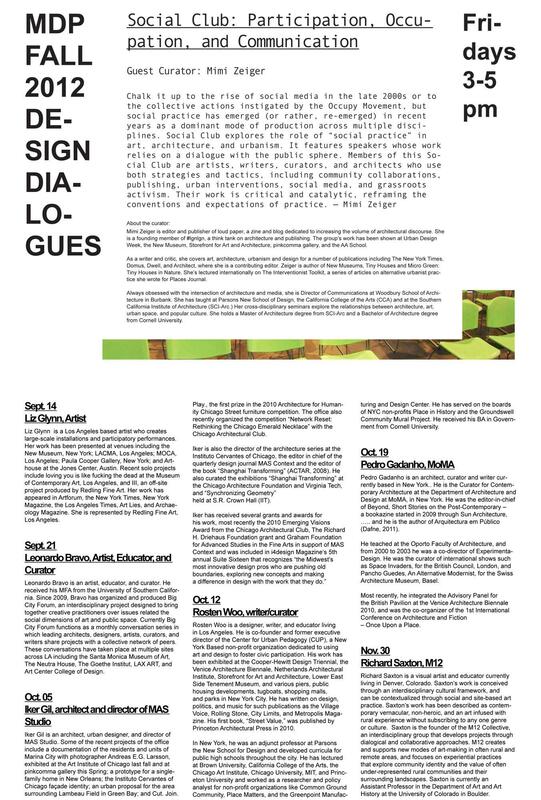 Members of this Social Club are artists, writers, curators, and architects who use both strategies and tactics, including community collaborations, publishing, urban interventions, social media, and grassroots activism. Their work is critical and catalytic, reframing the conventions and expectations of practice. The importance of the way stories are being told.